'non-therapeutic' environment and as such has many potential applications. Jo uses TA in her own practice. She also works with individuals and in groups (see workshops). Click on the links below to see examples of the artwork created. 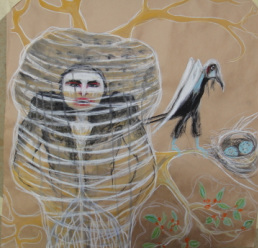 If you are interested to work with transformative art practices, please contact Jo.